Sang-Won Lee draws the landscape of place and scene people relax, spend their spare time in, such as ski resorts, parks and swimming pools, people climbing mountains, and the place festival is held. We spend quite a lot of time doing leisure activities which are the essential in today’s busy life. The activities –swimming, climbing, skiing, jogging, walking, watching sports- we choose totally depend on our individual preference. 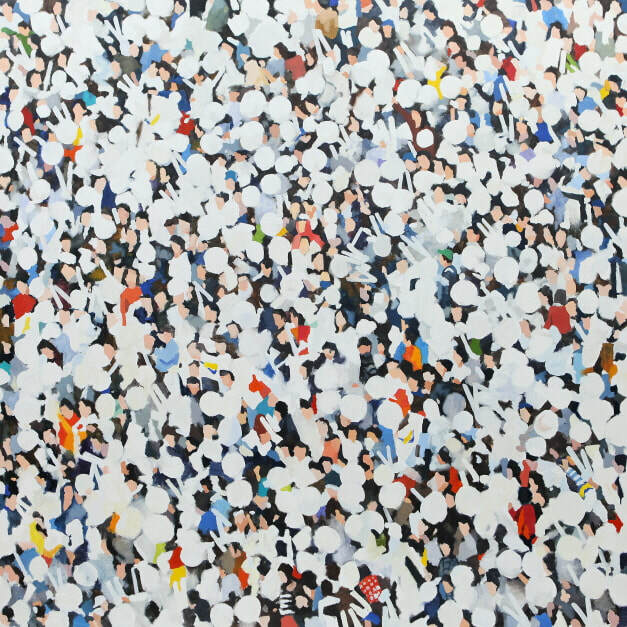 What Lee wants to show with his works are the landscape of people which appears as collective behavior by drawing the depersonalized scenes of people who goes the same place having the same interest with the same purpose in their free time. He questions us if the leisure activities we choose are decided by our free will or it has been the other routine set up by our society.